Now I think about this festival. 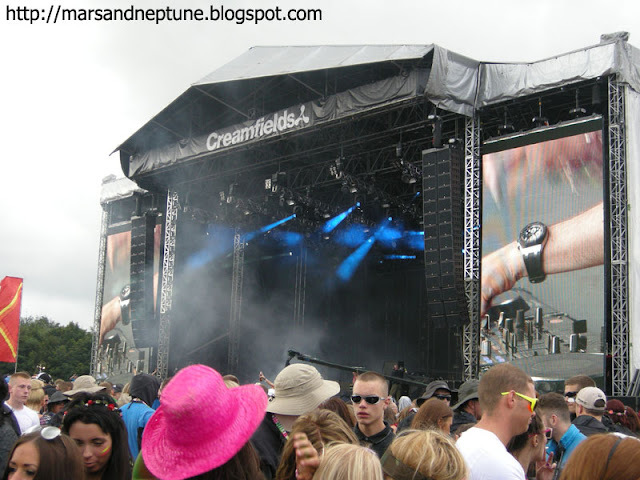 I regret to bought Creamfields instead of Reading Festival 3-day ticket. I gave up to see Foo Fighters and Kasabian. I was so excited to see Knife party however it was cancelled. 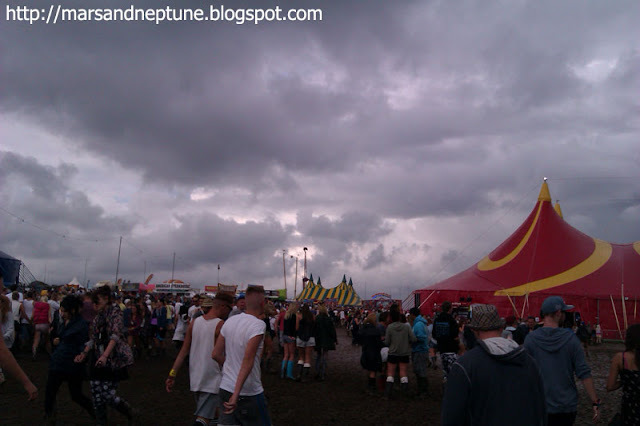 It was the first time in Creamfields history to cancel the Sunday festival because of the heavy rain. When I prepare for going the festival, I didn't consider about the weather. My Germany housemate checked the weather, and she gave me a raincoat and advise me be careful. The festival didn't refund my bus ticket! I treated myself to 2-day ticket to challenge the camp by myself. 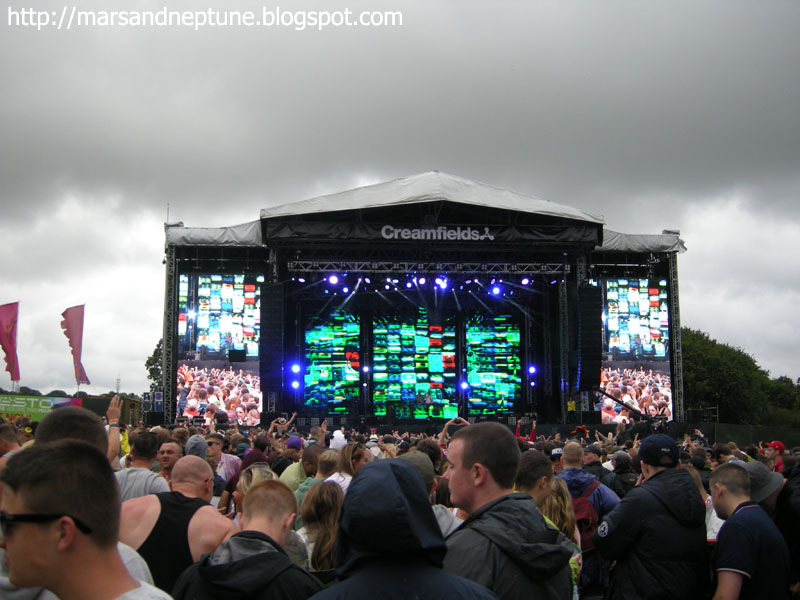 I took a bus for Creamfields in the early morning. When I took off the bus, it was the middle of the empty plain. The ground was full of the mud so I put on my boots. When I arrived the festival, the camping sites were already full of the tents. I find the place to set the tent hardly and set the tent. It was hard because it was my first time to set the tent. Some two girls helped to set tent and advise me cover something on the stuff because of the rain. I was really appreciate for them. Finally, because of the heavy rain in the dawn, I tried to escape the festival. I was confused where I set the tent. The camp site was so big. And there were full of the tents. I was so lucky I could buy the bus ticket in dawn. The staff said you could go Liverpool or Manchester. I have never been to Liverpool and I chose Liverpool ticket. The staffs were so kind during my way. The shuttle bus was full of drunk people or junkies. I was scared however they were kind. They looks dizzy so they didn't know where the guest house or hotel was. I went ahead and escaped to Liverpool. At that time, it was Bank Holiday in UK and Liverpool was during the Beatles Festival. It was hard to find the hotel. I tried to stay in the train station, however some guy tried to help to find the hotel. It was thankful for me however I was little scared and uncomfortable because it was late night. Because of the crazy rain, I didn't take much photos. There were two main stages, North and South. 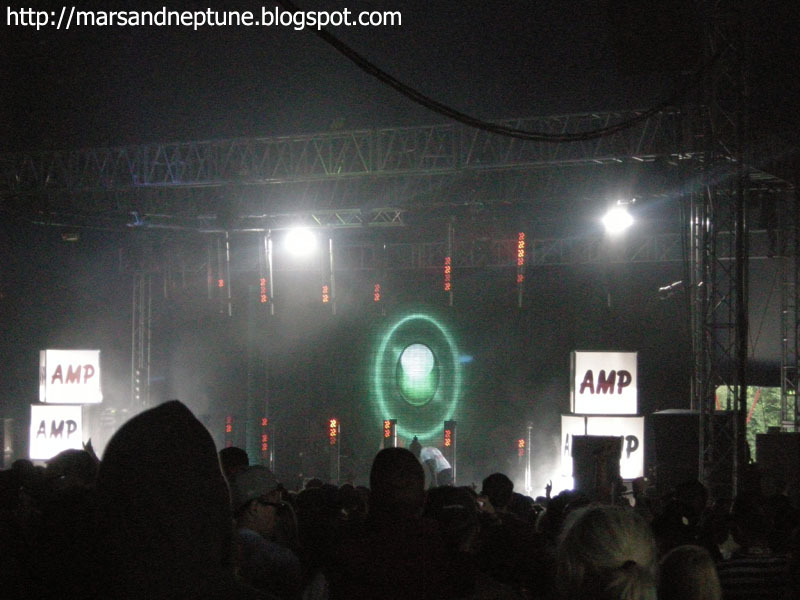 The saturday's headliner was David Guetta and Avicii. At that time, Avicii was so hot. Some drunk girl tried to find Avicii in front of David Guetta's stage and it was hard to explain where Avicii was. 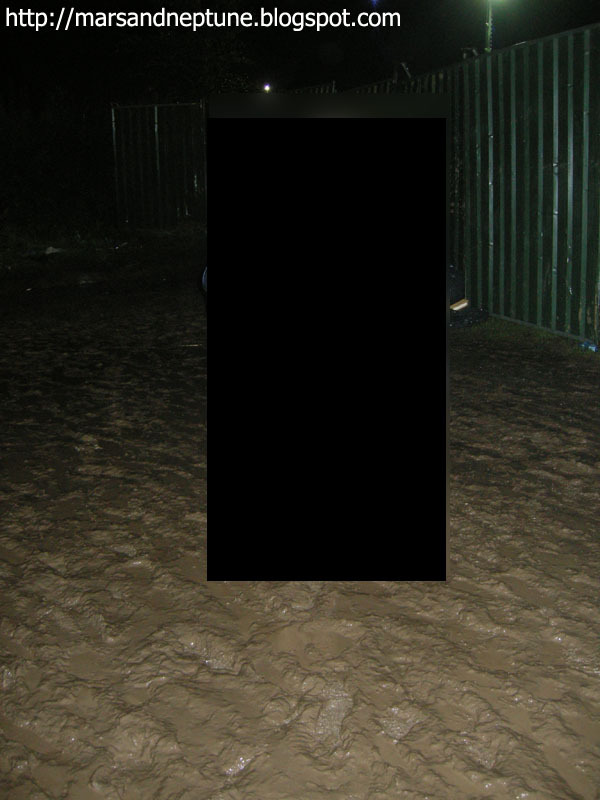 When I saw David Guetta stage, some guy urinated in front of the fence. I was shocked. When I leaved the Liverpool, some guy looks he was in the festival and I asked. "Did you get a refund for the ticket?" And many people gathered and talk and angry about the festival. In the bus terminal, we talked about the festival for a moment. The ground was like that. There were more severe place than a photo. I was safe when I escaped. And there were many temporary indoor-dome stages. Maybe there were 10 or more stages. I will go to Creamfields again as soon as possible!